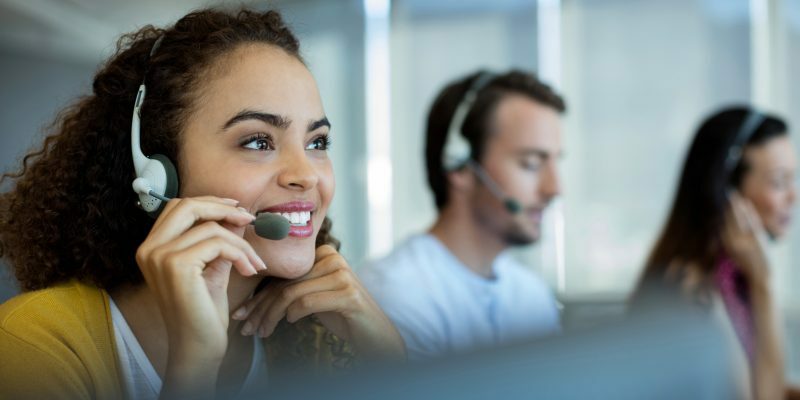 This article is an excerpt from GovLoop’s recent report, “Improving CX in Your Agency Through Contact Center Modernization.” Download the full report here. Customer experience is a staple of the President’s Management Agenda, which lays out a long-term vision for where the administration is heading and its overarching priorities. 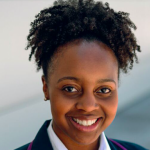 The goals include improving the usability and reliability of the federal government’s most critical digital services and using technology to break down barriers and increase communication with the public. As part of our research, GovLoop partnered with Genesys to survey 140 government employees who are knowledgeable about CX initiatives at their agencies. 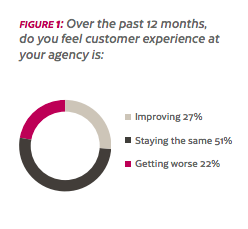 Only 27 percent of GovLoop survey respondents feel that CX at their agency has improved in the past year (see Figure 1), and half believe there is a gap in the level of service that their agency provides when compared with the private sector. The key to increasing those numbers lies in the challenge of providing multichannel experiences to citizens across all their preferred devices. Although government agencies are often pitted against online retailers and ride-sharing services when it comes to CX, there isn’t widespread evidence that CX across the public and private sectors has materially improved, said Stuart Crutchfield, Senior Strategic Business Consultant at Genesys. The issue is that CX has not kept pace with citizen’s rising expectations. “This has been going on for the last three years and will begin to boil over in 2019, leading to a series of systemic shocks for CX transformation efforts,” according to Forrester. Crutchfield noted that both the public and private sectors share a common problem: the uncontrolled growth of digital communication channels. “This has led to a disjointed patchwork quilt of technologies trying to keep up with citizens’ channel preferences,” he said. 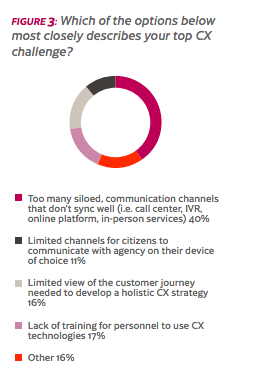 When asked to describe their top CX challenge, 40 percent of respondents said they grapple with too many siloed communications channels that don’t sync well. Think contact centers, online platforms, in-person services and more (see Figure 3). The common issues respondents raised were lack of training for personnel to use CX technologies and gaps in information about the citizen (see Figure 3).